Have You Suffered Injuries Resulting from the Mandalay Bay/MGM shooting? Parker Waichman LLP, our national team of attorneys works quickly to find out if a potential client has a valid legal claim. No Expenses or Fees Unless You Win Your Shooting Claim! On October 1, 2017, crazed gunman, Stephen Paddock, unleashed military grade weapons on hundreds of innocent victims. Mass shootings are unfortunately not new to the United States, but the mass shooting that occurred at the Mandalay Bay in Las Vegas is certainly something most of us did not expect to happen. With no known motive for why Stephen Paddock caused the largest mass shooting in United States history, injured victims and loved ones are left with questions that may never be answered. When innocent victims suffer debilitating injuries, some of which are fatal, they deserve to be compensated in any way possible as they have suffered through no fault of their own. While the true culprit of the Mandalay Bay shooting is Stephen Paddock, the Mandalay Bay and MGM (Mandalay Bay’s parent company) still may be held accountable as the shooting occurred on hotel and casino property – a corner room on the 32nd floor. Property owners have a duty to ensure their premises are reasonably safe for visitors and guests, and when these patrons suffer injuries or death resulting from conduct on private property, it is the property owner who is often held responsible. Families, friends, and the country as a whole are still mourning the loss of 58 people as well as serious injuries sustained by hundreds of others. It is difficult to say for certain whether a horrific mass shooting could have been prevented, but the questions must always be asked. The Mandalay Bay shooting has deterred many concert-goers and tourists from visiting places like Las Vegas and other music venues again in the future. 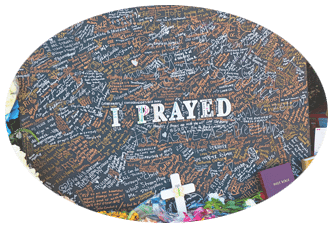 While the odds of a repeat tragedy may not seem high, most people did not have any inclination that Stephen Paddock would do what he did on October 1, 2017. Each of the victims of the Mandalay Bay shooting is left with injuries that may never heal, and these victims should have recourse to hold a party accountable for what happened. When it comes to premises liability, it does not matter whether a property owner intended for someone to suffer harm. Intent is not needed when injuries are sustained on another’s property. As briefly stated above, property owners have a duty to ensure its premises are reasonably safe and given the carnage that Las Vegas experienced on October 1, 2017, the premises were certainly not safe enough. Stephen Paddock was able to transport multiple suitcases full of military grade weapons into the Mandalay Bay without incidence. Because Mr. Paddock was a frequent guest of the Mandalay Bay, hotel security and staff may not have questioned Mr. Paddock’s conduct. Additionally, Mr. Paddock was able to install cameras on the 32nd floor of the Mandalay Bay without intervention from any hotel employee. And while a security guard did eventually discover Mr. Paddock was shooting outside the hotel windows with automatic weapons, this was simply not enough to stop the catastrophe. Who Is Responsible for the Mandalay Bay Shooting Injuries and Deaths? Failure to take any additional steps to protect patrons from foreseeable occurrences. Was the Mandalay Bay Shooting Foreseeable? To determine if a property owner is liable for injuries sustained because of something that happened on its property, the incident must have been foreseeable. Many people may say that it is not foreseeable that a hotel guest would transport assault weapons into the hotel and then carry out the largest mass shooting in United States history. However, because mass shootings are not new to the United States, all hotels and venues must anticipate, think ahead, and prepare for terrible things like shootings to happen. Additionally, the Mandalay Bay could have taken steps to prevent a situation where a hotel guest is able to mount cameras without the consent of the hotel. The hotel could also have had a better system in place to check for weapons, as the presence of assault weapons in a hotel places all guests and employees at risk. Regardless of the legality of weapons, property owners still must ensure they are taking all possible measures to prevent certain steps that lead to a disaster like the Mandalay Bay shooting. If any step taken by the hotel could have prevented this shooting, then the shooting was indeed foreseeable, and injured victims should be entitled to compensation for their suffering. Under Nevada law, a person has two years from the date of injury to file a personal injury lawsuit against the party alleged to be responsible. If the family of a deceased victim wishes to file a wrongful death lawsuit, the representative of the deceased victim’s estate (typically a family member) must file the lawsuit within two years of the date of death. There are some circumstances where a statute of limitations period may be extended, but with the Mandalay Bay shooting, it is undisputed that the shooting took place on October 1, 2017. As such, individuals wishing to file a lawsuit either on their own behalf or a deceased victim’s behalf must do so by the end of September 2019 at the latest. However, it is always a good idea to act quickly when considering legal action as waiting until the last possible moment can create stress and the possibility that time has run out. 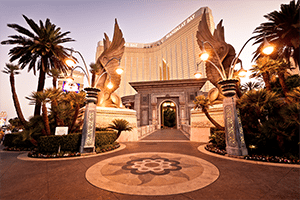 Do I Have Grounds to File a Nevada Mandalay Bay and MGM Premises Liability Lawsuit? Any person injured in the Mandalay Bay shooting and family members of deceased victims all have potential grounds to file a lawsuit against the Mandalay Bay/MGM and/or Live Nation, the company hosting the Route 91 festival. While there is never a guarantee that an injured victim or family of a deceased victim will receive compensation, in the case of the Mandalay Bay shooting, it is clear-cut as to whether a person was injured or killed in the shooting or not. As such, any person who has been injured or who has lost a loved one resulting from the Mandalay Bay shooting should act quickly by speaking with a Nevada Premises Liability Attorney. The Intake – This is the first step where a person contacts an attorney to learn about potential legal options. The potential client’s personal information is obtained. The Case Review Process – An attorney looks at the intake information and decides whether the potential client has a valid legal claim. Identification of Injuries – Once an attorney determines a client has a valid legal claim, the attorney will obtain medical records that document the client’s injuries. Filing the Lawsuit – Once an attorney has proof of a client’s injuries, the client’s case is typically filed in court (however, there are exceptions in cases where a case can be settled before going to court). Discovery – This is the step that occurs after a lawsuit is filed. The injured party and the defendant(s) exchange information and the attorneys begin to find out in what way a client was injured and how the defendant(s) is at fault. Trial or Settlement – After the parties have obtained all evidence from the discovery process, a case will either go to trial or will be settled before trial. Because the Mandalay Bay shooting involved hundreds of injured victims, multiple lawsuits have already been filed with much more to come. A court may decide that it is best to consolidate these cases where all of the injured victims sustained their injuries because of the same occurrence at the Mandalay bay – the October 1, 2017 shooting. 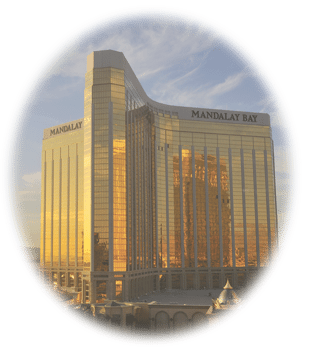 Therefore, the Mandalay Bay litigation could take longer than an ordinary premises liability case that involves one injured victim – not hundreds. How Can a Nevada Premises Liability Attorney Help Me? There is no way to know for sure if you have a potential legal claim if you do not reach out to an attorney experienced in handling complex premises liability cases. The Mandalay Bay shooting is certainly a complex situation where hundreds of victims share the same experiences with regard to one particular incident. When facing what could turn out to be a widespread, long-lasting litigation, you deserve the best possible legal representation you can find. A qualified Nevada Premises Liability Attorney can quickly determine if a potential client has a viable Mandalay Bay shooting claim and how that injured client should move forward. Many injured victims fear the legal process and may be nervous about speaking with an attorney. However, with any personal injury case, there is no risk by having a legal professional evaluate the facts of the situation and reach a conclusion as to whether a person may be entitled to compensation for injuries suffered. For those injured victims who wait too long to speak with an attorney, they run the risk of waiving their right to file a lawsuit in the future. Therefore, speaking with a Nevada Premises Liability Attorney is the first step to helping victims get answers to their questions so they can move forward in the most feasible way possible. The Nevada Premises Liability Attorneys of Parker Waichman LLP always place their focus on the client – the individual who has suffered extensively through no fault of his or her own. If you or a loved one suffered injuries resulting from the Mandalay Bay/MGM shooting or if you have lost a loved one because of fatal injuries, it is important to act quickly by speaking with a highly skilled Nevada Premises Liability Attorney. At Parker Waichman LLP, our national team of seasoned trial attorneys work quickly to find out if a potential client has a valid legal claim. To learn more about whether you or your loved one may have a potential Mandalay Bay/MGM shooting claim, contact Parker Waichman LLP today by calling 1 (800) YOUR-LAWYER (1-800-968-7529) to schedule your free consultation to speak with one of our attorneys. Have you or someone you know been injured or affect by the Mandalay Bay Massacre?